The D810 is an evolution of the D800 design, and while the main spec is similar and the body design almost identical, it has a number of not-so-obvious changes that should help improve the image quality over that of the D800E. 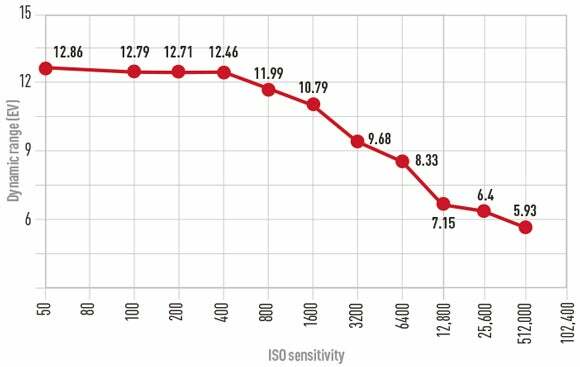 The base ISO is reduced from 100 to 64, which means the sensor can capture more light, with cleaner-looking images with smoother colour gradations the result. In addition, the sensor has no OLPF, whereas the D800E’s is ‘cancelled’, so the D810 has the potential to produce slightly sharper images. The mirror and shutter mechanism has been refined to reduce vibrations, and therefore minimise any blur induced by the camera’s mechanics. A very noticeable benefit is that the D810’s shutter is much quieter than the D800’s, making it more discreet for shooting in noise-sensitive situations. This is taken a step further in live view or mirror lock-up mode, with an optional electronic first-curtain shutter. Rather than starting the exposure using the first shutter curtain, it’s instead initiated electronically, eliminating the slight (but sometimes visible) blur that can be induced merely by the shutter opening. 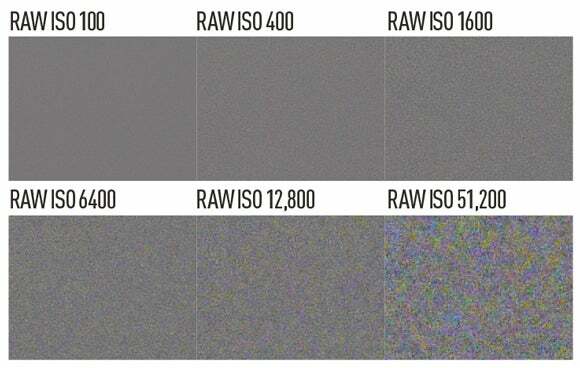 To get the most out of any high-resolution camera sensor, accurate focusing is essential. For landscape and still-life work, this often means using live view on a tripod. The D810 has a much-improved live view magnification compared to the D800E, with a visibly more detailed view that makes accurate focusing easier (as the sensor no longer skips horizontal lines in magnified view). Another useful feature is the split-screen magnified live view, which allows you to look at two areas of the image simultaneously. This helps with such things as assessing depth of field, or levelling horizons with suitable subjects. The camera’s control layout has also been refined, with a few noticeable improvements. The AE-lock button is easier to operate (as the metering collar switch that surrounds it on the D800E has been removed), and it’s now possible to assign ISO to the red movie record button, so it is more accessible with the camera to your eye. These don’t improve image quality directly, but make it easier to capture the images you want. The D810 gives almost exactly the same results as the D800E, but its improved shutter action is much less prone to blurring the image. Again, it offers exceptional resolution of over 4000l/ph at low ISOs, although like the D800E it’s prone to false colour too. 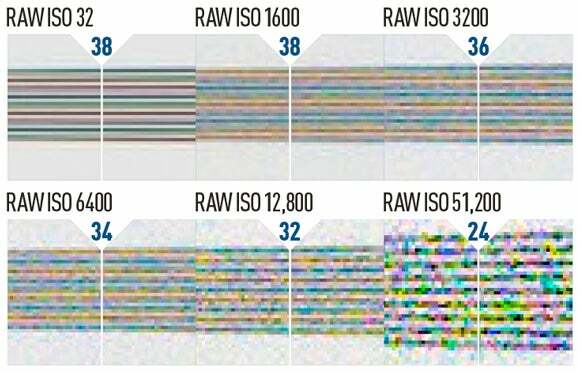 At its highest ISO of 51,200, resolution has effectively halved. The D810 gives overall much the same results as the D800E and Alpha 7R. Base ISO dynamic range is exceptional, which means you’ll be able to recover detail deep into the shadows when shooting raw. The D810’s new highlight metering mode can be employed to make best use of this, by avoiding clipping highlights. As with the D800E the highest ISOs are emergency only, with the top setting of 51,200 very limited indeed. The D810 behaves very similarly to the D800E and Alpha 7R, and any advantage offered by its newer sensor is really quite small. Here we’re showing how ISO 400 is almost indistinguishable from ISO 100, with ISO 1600 still pretty clean. Of course, higher ISOs show ever-increasing noise patterns, and ISO 51,200 becomes very noisy indeed, with lots of colour blotching. But it’s there if you need it; just don’t expect miracles.